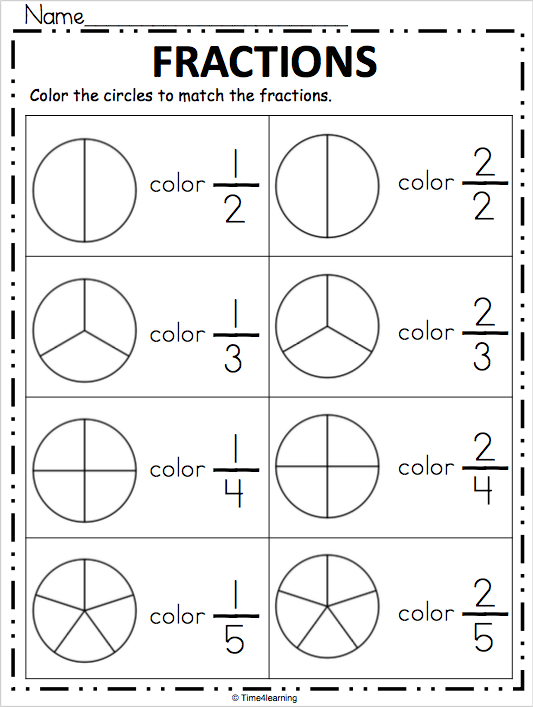 Simple print and practice page for fractions. 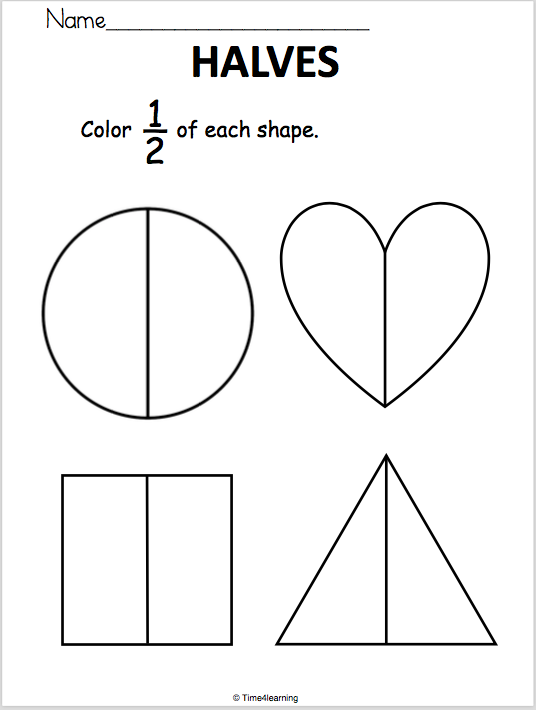 Students color half of each shape. 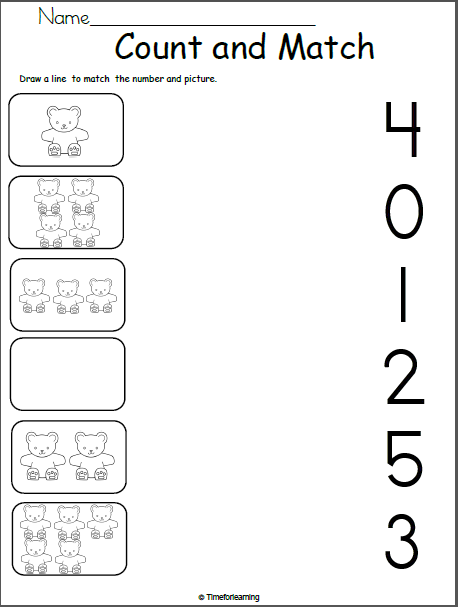 Free Math Worksheets for Kindergarten - Match 0 to 5 Count. Draw a line to match the numbers and pictures. 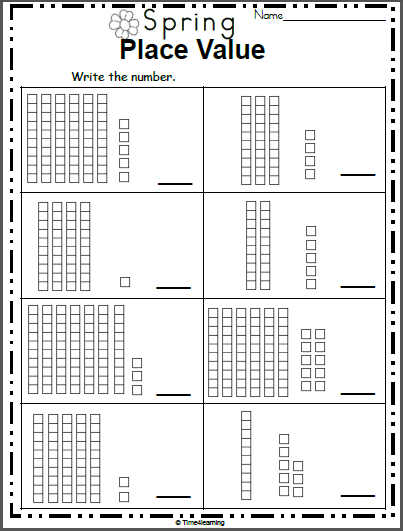 Free spring base ten blocks worksheets for practicing place value. Look at the blocks and write the numbers.